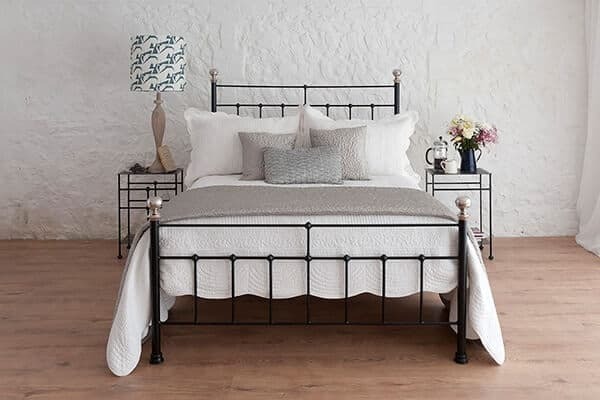 Iron, Brass & Nickel Bed Sizes | Wrought Iron & Brass Bed Co. Here at Wrought Iron & Brass Bed Co. all of our beds are handmade on the Royal Estate of Sandringham, in Norfolk. We are a family run business designing and manufacturing beds that are guaranteed to last your a lifetime. 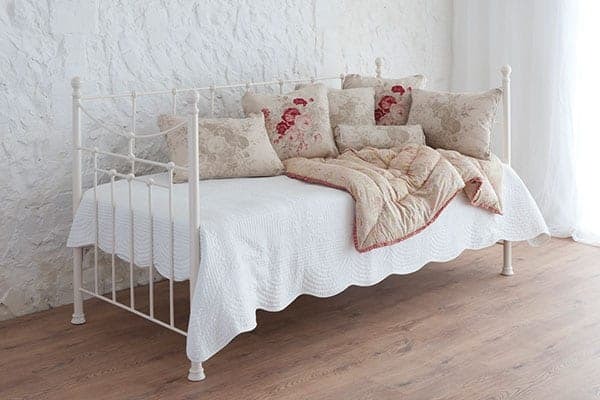 If you are looking for a particular size bed, why not shop by size today and browse our beautiful bespoke collection of iron beds, iron and brass beds, as well as brass and nickel beds. If you are shopping for yourself, why not take a look at our wrought iron bed inspiration page, or if you are a business, why not take a look at our business portfolio. 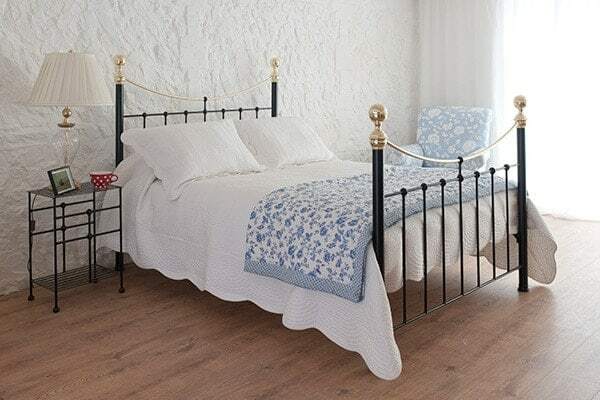 If you need any assistance when it comes to choosing your wrought iron bed, your preferred colours or finishes, please do not hesitate to contact us or pay us a visit at our showroom. From our simplistic iron beds, to our ornate brass and nickel bedstead. Our single beds are perfect for those small guest bedrooms, or even those venturing into the world of grown up beds. 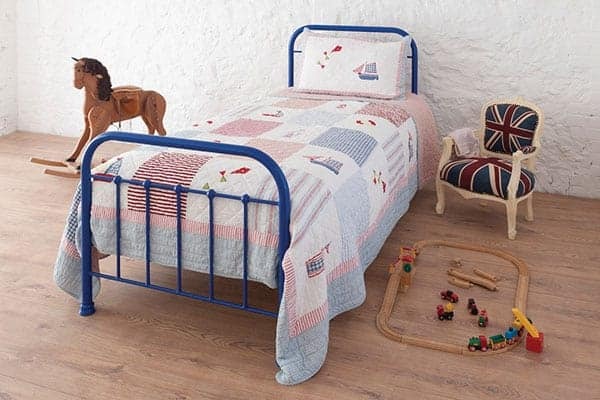 Perfect for those medium size bedrooms and for those looking for their first big bed. Our range of four foot iron beds, come in all shapes and colours. Whether your upgrading from a single, or simply upgrading your current double bed. 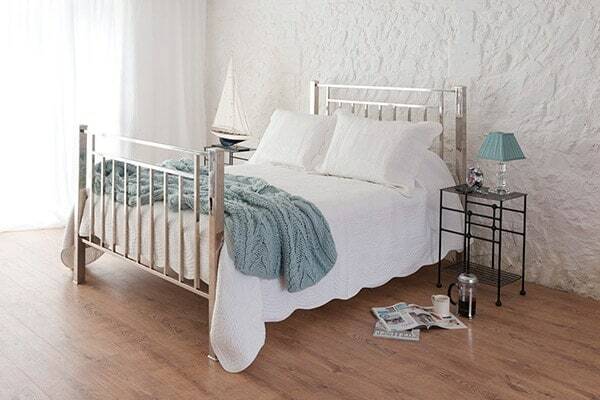 Our range of double iron beds, are guaranteed to last a lifetime and give you that little extra room. When it comes to a good night sleep, size matters. Spread out in our Kingsize iron beds and enjoy a restful nights sleep, accompanied by a little extra space. Bigger is better, when it comes to an undisturbed night sleep. Spanning 6ft wide and 6’6ft long, spread out and experience your own sleeping area, with our kingsize wrought iron beds. 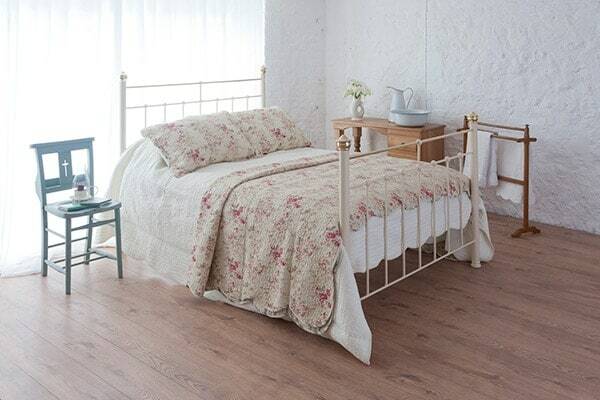 Our iron days beds are perfect for that guest bedroom, which only gets used on a handful of occasions. By day a comfy reading / chill out space and by night, a snug sanctuary for the weary eyed.